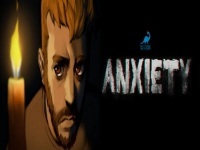 Anxiety is a horror game packed in a 2D adventure game. In Anxiety, the player plays as Gregory, a man that has experienced some weird situation in his house. Greg arises in the dark night when the power is out. He hears weird sounds and some other strange things, then he tries to find out through the whole house. Help him to reveal everything that brings him anxiety. Find 6 clues in the form of notes, doll, or anything else to solve the peculiar puzzle. And at the end, reveal who is the dark shadow that always makes him scared all night. Arrow keys / W,A,S,D = Walk (hold SHIFT to run). Collect 8 onions while avoiding the Ogre from catching you.